Cougar presents the Evolution BO, a new case that will start retailing in February for 99EUR. COUGAR represents the Evolution BO, the top-model from the new gaming series. The Super Midi-Tower offers an exceptional design and gives the user a series of new and useful functions. By painting the design elements and drive mounts in COUGAR-Orange, the Evolution BO fits perfectly into the COUGAR family. 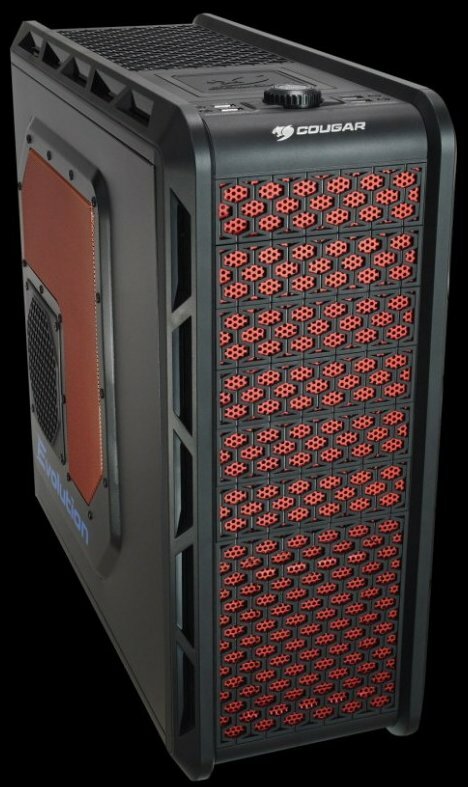 Gamers and enthusiasts are given the possibility to use 4-way SLI or CrossFire configurations. 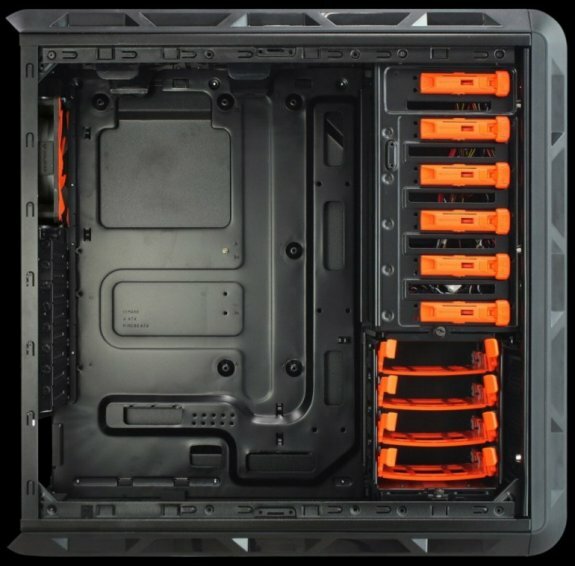 Accordingly, the extensive cooling system of the COUGAR Evolution BO, in addition an installed COUGAR VORTEX HDB 120mm fan in the back provides for up to six additional slots for fans. This is an excellent case, graphics card and hard drive cooling is ensured. The installation of the drives is tool-and screw less and thus allows an easy handling during system construction. The housing also has a number of cable glands, which ensures easy access to components. Additionally thus provided for an optimal air flow.